It is an exciting opportunity, which is aimed at encouraging new and returning cyclist of all ages and abilities. To the Ladies, Gentlemen and young riders aged 14 plus of the local community starting on Saturday 25th March 12 new riders will embark upon an eight-week structured program which will offer self-development, improved health and well-being and more importantly fun and friendships. 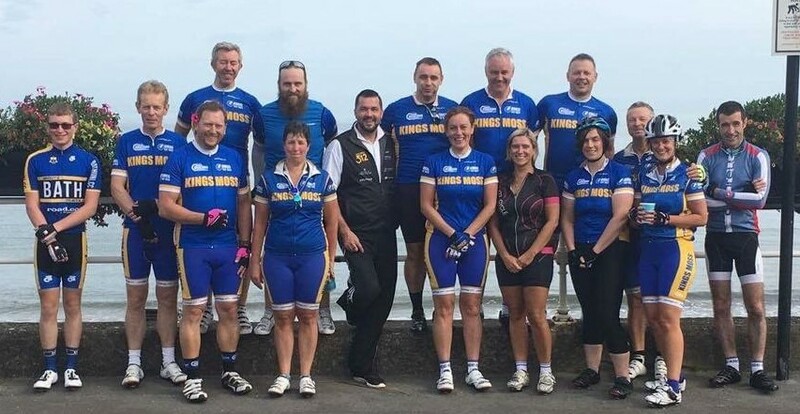 The journey’s goal is to achieve 90km on Sunday 28th May.When riders will undertake their first ever personal distance challenge, the Kings Moss Cycle Club’s annual charity sportive in aid of Hope 365. Throughout your journey, you will be supported and encouraged by Cycling Ireland coaches. Kings Moss Cycling Club will endeavour to work to the dates on the schedule. However safety will take priority and given our notorious weather we may have to remain flexible. Riders should however endeavour to cover the distance set out in the program during that week, even if that means in the personal time. Routes will be planned and shared 7 days in advance using long range weather forecasts and reference to road works etc. To fully integrate the new C290K riders into the wonderful club the scheme's itinerary syncs up with the club's social days when the C290K group will end their cycles at the same venue as the main club training/leisure rides.